Perched 80 metres above the city of Halifax, standing guard over the historic naval city, is Fort George, more commonly known as The Halifax Citadel. A number of fortifications have occupied the hill since the British founded Halifax in 1749, the current star-shaped fort was completed in 1856. 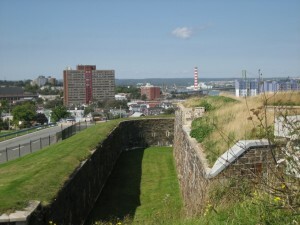 From the ramparts overlooking one of the … Continue reading "Halifax Citadel National Historic Site"